MRSA bacteria. 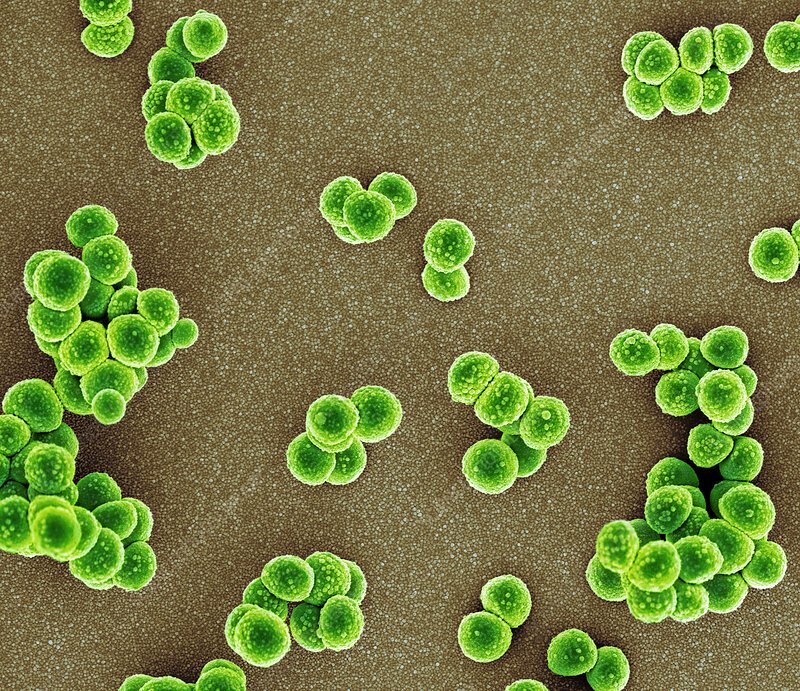 Coloured scanning electron micrograph (SEM) of methicillin-resistant Staphylococcus aureus (MRSA) bacteria (round). MRSA is a Gram-positive, round (coccus) bacterium that is resistant to many commonly prescribed antibiotics. It is carried by around a third of the population without causing any symptoms. However, in vulnerable people, such as those that have recently had surgery, it can cause severe illness due to its high resistance to antibiotics. It can result in wound infections, pneumonia and blood poisoning.